The first ever MACC Challenge took place at Machrihanish Airbase on Saturday 29th November and was a massive success, thanks to the help and support from the local community. 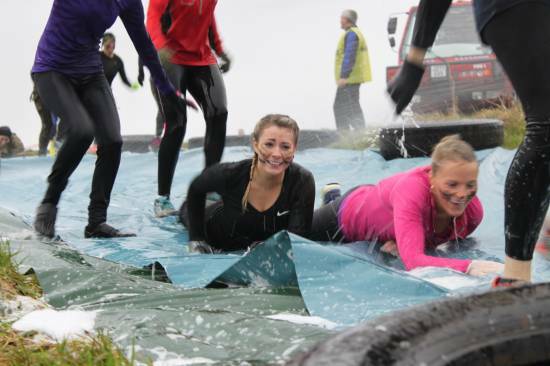 One hundred brave participants tackled a 4 mile obstacle course spread across the site, consisting water slides, mud runs, spiders webs, hay bales, cargo nets and much much more. The event was non-competitive, with organisers keen to encourage fun and camaraderie. 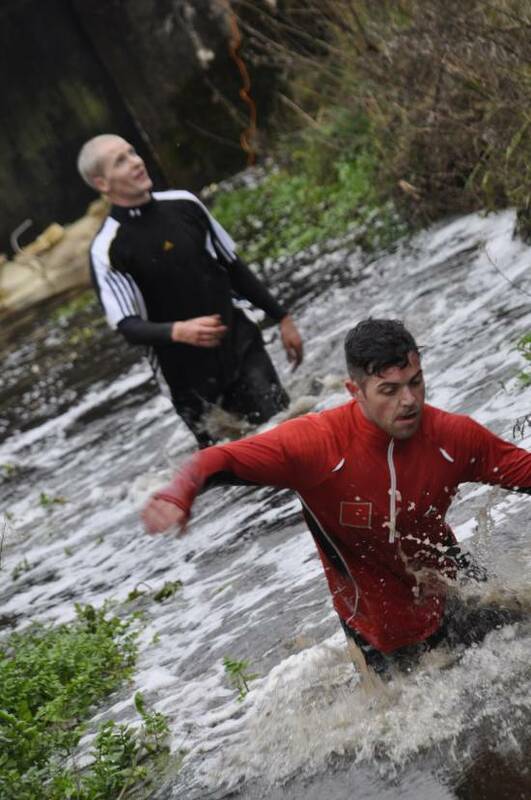 Those taking on the Challenge rose to the occasion, dressing up in military costume on the day and many diving head first into the mud and water obstacles (literally). Three hardy participants travelled all the way from Fife on the morning of the event and thoroughly enjoyed themselves, impressed by the friendly reception they received and the encouragement from the marshals throughout the course. Organisers would also like to thank everyone involved on the day including helpers, marshals, spectators and of course, participants. A true example of Campbeltown’s community spirit. Volunteers from the Kintyre Dialysis Campaign served up soup, refreshments and home baking for all on the day. Profits from the event will be donated to the group, who have been campaigning for a dialysis unit in Campbeltown Hospital from July this year. This is a hugely worthwhile cause and something that means a lot to many individuals and families in Campbeltown. 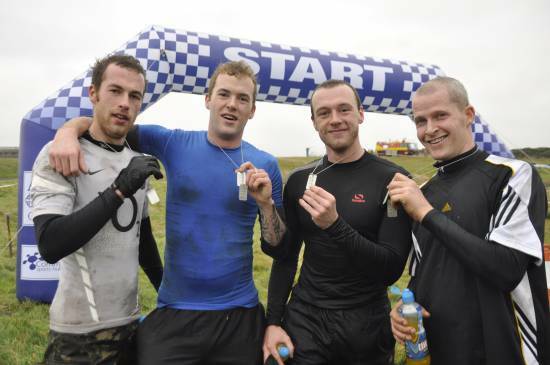 Drawing inspiration from increasingly popular Obstacle Race events, the idea for the MACC Challenge came from Campbeltown Running Club’s Elaine McGeachy and James Murdoch, who thought the land and unique buildings at Machrihanish Airbase were crying out for an obstacle course. MACC are delighted to have been able to facilitate this event and thank Elaine and James for their hard work. Elaine’s experience as one of the organisers of the MOK Run, coupled with James’ enthusiasm, having participated in many obstacle events such as Tough Mudder and Spartan Race, ultimately brought to life a fantastic new sporting event for the Kintyre calendar.